Gamma Knife for Brain Tumor in India? The average gamma knife treatment cost in India starts from $6500. The same treatment costs around $40000 to $70000 in the western countries, including the UK, US, and Canada. It is used to treat benign brain tumors, malignant tumors and metastatic brain tumor. Gamma Knife surgery is done with the help of highly-focused high energy gamma radiations. It is non-surgical and it does not involve the use of a knife or blade. This treatment is extremely useful in the cases where it is very difficult for the neurosurgeons to conduct a surgery. Abnormalities such as Blood vessel abnormalities, deep tissue tumors, and other types of abnormalities in the areas that are difficult to access can be treated with the help of this procedure. Why choose India for Gamma Knife Treatment? How does a Gamma Knife work? What can Gamma Knife Radiosurgery treat? What are the benefits of Gamma Knife Surgery? Gamma Knife treatment cost in India is much reasonable than other countries. Even after paying a minimal cost for treatment in India, patients from abroad can still enjoy the same quality of medical treatment as they would typically get in any other country in the world. 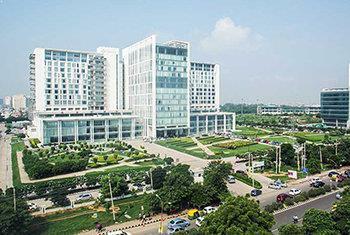 Even patients from the Western countries, such as the UK and the US come to India for the surgery. This is because cancer treatment is really expensive in those countries. Patients from the developing countries, especially the African countries, come to India for this treatment due to the lack of proper medical services at their place. On the other hand, people from developed countries prefer are primarily attracted towards the lost cost of gamma knife treatment in India. Gamma Knife stereotactic radiosurgery treatment performed in many Indian hospitals that helps with the treatment of tumors and lesions along with several other abnormalities related to the brain. This cancer treatment is non-surgical and it does not involve the use of a knife or blade.The Government of India supports the influx of medical tourists for cancer treatment by providing incentives and proper guidelines. The government helps in providing targeted knowledge and information to the patients. This is a huge benefit and a kind of reassurance for cancer patients who plan to visit the country for Gamma Knife treatment in India, among other types of cancer treatment. Perfexion is the latest generation of Gamma Knife radiosurgery introduced by Elektra, the manufacturer of the Gamma Knife. Perfexion is specially made for the treatment of tumor of the brain, neck, and the upper spine. It is the world’s first fully robotized technique which uses a cobalt-60 source. Perfexion is purely dedicated to the treatment of brain conditions along with the problems associated with neck and the upper portion of the spinal cord. Gamma Knife perfexion is not meant for other body parts. Perfexion has a much higher degree of accuracy and precision. No surgical incision or anesthesia is required to perform the procedure. Treatment is performed in a single session. Perfexion helps the patient return back to the normal routine within 24 to 72 hours. Frame fixation: A custom-made stereotactic face mask depending on the size of the tumor and its location is fitted securely around the head of the patient. This is done to hold the head of the patient in a still position to get the scans with precision. Diagnostic imaging: The patient undergoes the imaging scans such as an MRI and CT scan. These scans help the doctor to locate the abnormality in the brain with accuracy. Computerized treatment planning: The treatment is designed with the help of a three-dimensional software to hit the exact contours of the tumors with effective dosing of the radiation. Radiation delivery: The patient’s head is held still while several sources of small radiations are focused on the target simultaneously. The procedure takes 30 minutes to 60 minutes depending on the number of the targets. How can Lyfboat assist you getting Gamma Knife Surgery in India? Lyfboat is a free advisory platform; we do not charge any fees from patients. In fact, we negotiate the price that Indian hospitals offers for treatment. In some cases we are able to reduce the cost of the surgery by negotiating by upto 20% of what Hospitals generally offer. We advise the best treatment from the top hospital/surgeon at best price. Gamma Knife radiosurgery has been clinically proven to treat certain conditions of the brain in a non-invasive manner. It can be effectively used to treat tumors ranging from target sizes of few millimeters to several centimeters. It is a type of benign tumor that is most frequently treated with the help of Gamma Knife surgery. Stereotactic radiosurgery is found to be the most successful procedure for the eradication of meningiomas. Gamma Knife radiosurgery has been successfully used to prolong the median survival of tumor recurrence by 8 to 12 months on an average. For patients suffering from craniopharyngiomas and those who have failed to receive any benefits from other conventional therapies, Gamma Knife radiosurgery has proved to be beneficial. It helps increase survival rates. Low-grade astrocytomas are effectively treated with the help of radiosurgery. A patient with astrocytoma can expect himself or herself to be treated completely with the help of Gamma Knife surgery. Residual or recurrent oligodendrogliomas are successfully treated with the help of minimally invasive Gamma Knife surgery. Gamma Knife treatment has significantly enhanced the rate of tumor control in patients with hemangioblastoma. Neurologic functions are also preserved to a greater extent in these patients following this procedure. Neurosurgeons have effectively used Gamma Knife radiosurgery for the treatment of metastatic brain lesions and tumors. Lesions arising from primary tumors of the kidney, skin, breast, uterus, colon, or other organs in the brain are expunged with this procedure with a success rate of more than 90 percent. Gamma Knife is successfully used to treat many other medical conditions such as trigeminal neuralgia, arteriovenous malformations, cavernous angiomas, Parkinson’s disease, and medically intractable epilepsy. 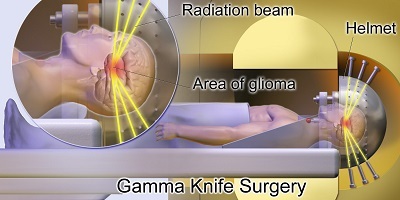 Gamma Knife surgery has made a revolutionary change in the life of the patients whose tumors were declared inoperable due to its location, patients with specific medical conditions that make it impossible for the surgeons to conduct conventional surgeries, patients with recurrent tumors, and the patients whose tumors were not removed totally during previous surgical procedures. Gamma Knife radiosurgery is a minimally invasive technique that does not involve any incision or opening of the bone skull. Therefore, the risks associated with the conventional surgeries such as infection, bleeding, and neurological deficit is next to negligible in this case. Gamma Knife surgery is the only technique approved by FDA for the treatment of brain metastases. No general anesthesia is required before Gamma Knife surgery. The patient undergoing Gamma Knife treatment is not required to attend rehabilitation services as they can return to their normal routine within a few days. Gamma Knife surgical procedure has made it easy for the surgeons to reach the areas of the brain that are difficult to access through conventional procedures. This technique can even reach to the cervical spine area with the fixation devices. The cost of the stereotactic radiosurgery is often 25 to 40 percent less than the traditional radiosurgery. Gamma Knife surgery is accurate and a reliable method to treat several different kinds of cancer. Patient need not stay in the hospital for a longer duration of time after the surgery. Within a few decades of its invention, the Gamma Knife surgery has become one of the most widely used radiosurgery treatment all over the world. Indian gamma knife surgery hospitals are one of the best cancer care centers in the world that provide excellent quality of treatment to patients with different forms of cancer. The Indian gamma knife surgeons are some of the best in the world. Their dexterity and vast experience in handling different cases of cancer make them stand apart from the surgeons present in any corner of the world. A majority of them are educated and trained from the abroad. Moreover, they upgrade themselves routinely with respect to the changes in the use of medical technology and the new updates in the field of Gamma Knife surgery. 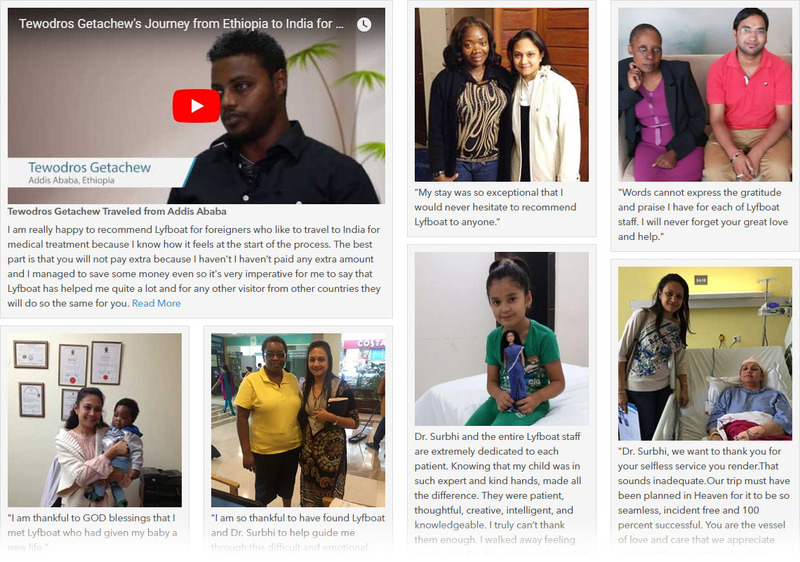 Indian surgeons hold an experience of performing surgeries in other countries as well. Their wide experience and exposure to the treatment protocols followed in other countries attracts medical tourists from all over the world for gamma knife surgery in India. They have successfully treated more than half a million patients from all over the world. Higher success rates for cancer treatment in India accounts for a greater inflow of international patients every year to avail the surgery.